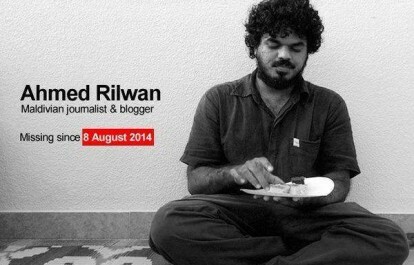 On Monday, August 8th, 731 days will have passed since Maldivian journalist and blogger Ahmed Rilwan Abdulla was taken from outside his apartment on the island of Hulhumale’. 609 days would pass before police conceded, last April, that the then 28-year-old had been abducted, confirming evidence uncovered by the media less than two weeks after his disappearance. With 400,000 people, 1,200 islands, and 1.2 million tourists annually, the Maldives is a country of fascinating statistics. But the fact that two years have passed without justice for Rilwan’s family is perhaps the most astounding number, and must amount to serious questions about the nation’s ruling figures. Rilwan began writing for the English language paper Minivan News eight months before his abduction, but was already a prolific micro-blogger, tweeting over 111,000 times. He used the handle @moyameehaa – meaning ‘crazy person’ in dhivehi – to lampoon the country’s most powerful, beginning just as the 2008 multi-party elections threatened their dominance. 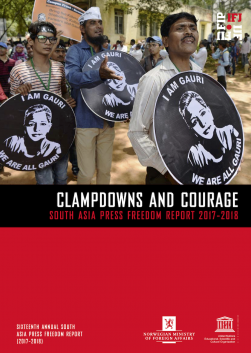 After that, the Maldives quickly rose 53 places on the RSF Press Freedom Index before crashing down 61 places to the current position of 112 of 180. An impending defamation law will add to this ranking, promising fines of up to $324,000 or jail terms of six months for unquantifiable transgressions. The official investigation into his disappearance has also been a numbers game, with the police having boasted of 198 interviews, 80 statements, 293 hours of CCTV footage analysed. Unfortunately, none of this has equalled sufficient evidence to hold the seven men arrested in relation to the crime. A petition signed by 5,500 people urging the Majlis to intervene has also come to nought. But after the police’s eventual acknowledgement that Rilwan was stalked by local gang members and forced into a car at knifepoint, one number has finally been agreed upon. There is now one truth; a single set of events that took place that evening – albeit still inconvenient for many in this tragically polarised polity. Multiple rumours peddled by government-affiliated outlets confused the equation, ranging from suggestions he never boarded the ferry home, to sinister attempts to place him with Kurdish militants via a crudely assembled fake blog. (Former management figures of one offending paper have since confirmed to me that such stories are published verbatim from senior police and government figures). 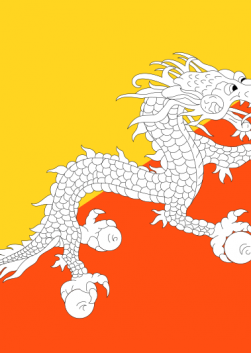 The reasons for his abduction appear likely to be related to religious radicalism, although the use of mercenary gangs indicates money could also have been an incentive. What is of growing importance, however, is what has happened since. The campaign of misinformation is reminiscent of Nazi Germany, with an Indian Ocean twist. Lazy attempts to plant the ‘colossal lie’ have been quickly washed away by the relentless tides of apathy. But the evidence in this case was clear just days after it occurred, and the mathematics is no longer a mystery. One man was abducted on August 8th, 2014, but two crimes have been perpetrated against the Maldivian public. Two years and two crimes. After 24 agonising months for Rilwan’s countless supporters, it can no longer be disputed that one group of people conspired to abduct this intelligent and passionate writer, and a second group then worked to cover up that fact. The first group may never be caught, most having been skirted off to jihad or returned to the dark recesses of Male’s criminal underworld. But those guilty of the second crime still walk tall; drawing salaries, cutting ribbons, and further curbing the rights to free expression that Rilwan exemplified. These are the very men Rilwan would needle relentlessly online for their failings. Untouchable and unapologetic. Over privileged and unworthy. Two years after his abduction, it is time for Maldivian society to crunch the numbers and calculate the true cost of this loss. 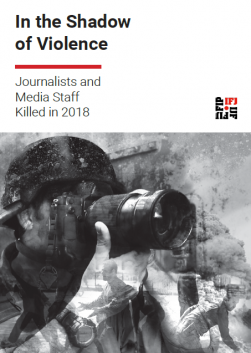 Visit Without A Trace – Media Workers Missing In The Asia-Pacific on IFJ website for more information and advocacy action on missing journalists and media staffs in the Asia Pacific.